The unique designs in the LINK UP collection serve not only a function, but also bring fun into the everyday wardrobe. Humor and wit are always a big part of the design process, but style is never sacrificed. 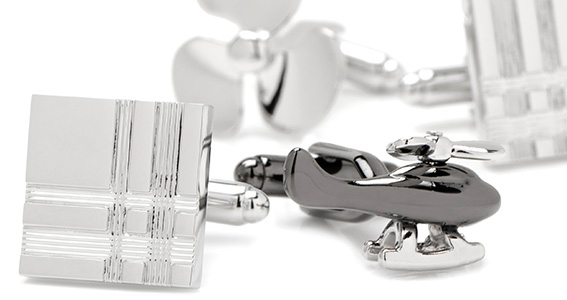 At LINK UP you’ll find contemporary classics and fashion must-haves, but most likely the piece you come away with will be the one you never expected to find – like the fishing reel cufflinks or the “Stay Stiff” collar stays. These are the pieces that spark conversations, are gifts to remember, and become life-long keepsakes.